For today's card I decided to use the new Tonic Studios Chepstow Bonnet die set along with one of the Verso Splendid Screen dies. I cut a 7" x 7" card blank and using one of the straight edge dies out of the Splendid Screen dies, cut the front edge of my card off, using the pattern die for positioning I placed the straight edge die back on the card front and cut out the section for the acetate panel. I cut my acetate down to size and using double sided tape stuck it in place on the rear of the card front. I stuck some ribbon on the small panel with double sided tape and added a hand tied bow. 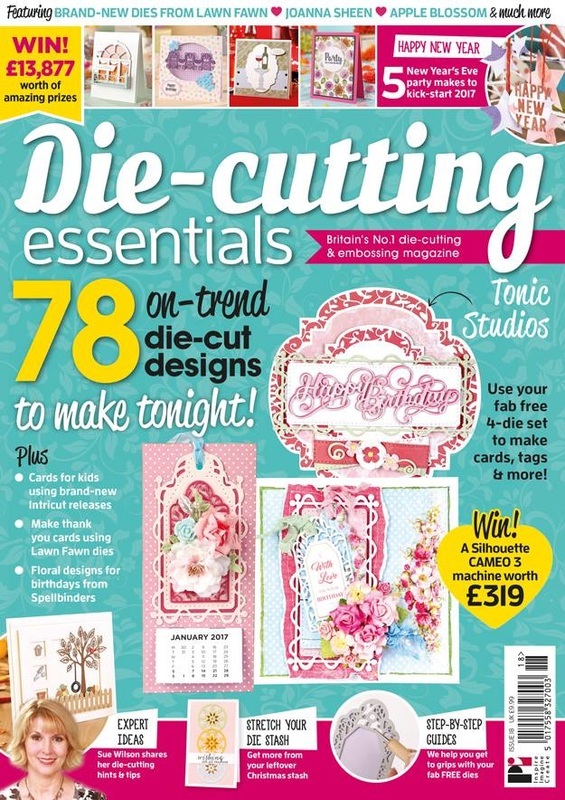 The layering panels for the larger panel were cut using the Splendid Screen straight edge die with the top layer embossed with the Garland Fancy embossing folder from the Idyllics range. 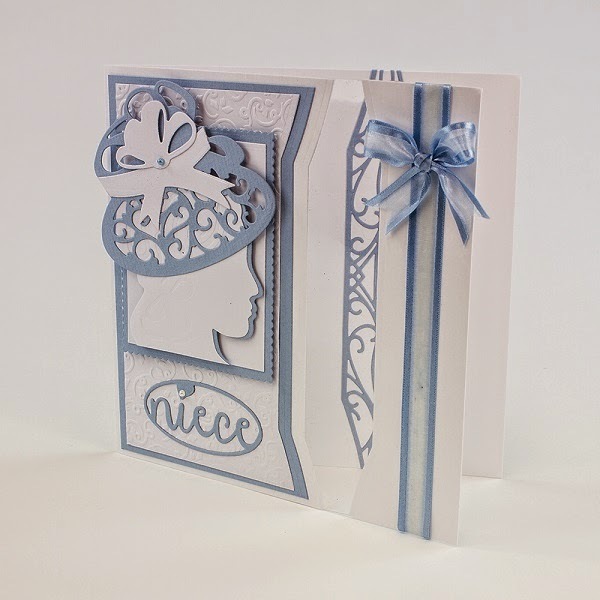 I cut some layering panels from the Rectangular Scalloped Layering die set and the cameo from the Chepstow Bonnet set in blue and white and the hat itself in just blue with the band and bow hat decorations in white to contrast. These were layered and stuck to the card front with 3d foam pads for dimension. The Niece wording was cut from the Family Members Sentiments Set 2 and glued in place. The Splendid Screen die was cut out of blue with straight edges and this was lined up with the acetate and glued onto the back of the card so it was visible through the acetate. The card was finished simply with a tiny blue pearl on the hat band and a tiny white pearl on the 'I' in the niece wording. I hope you like it and that you will continue to join Jodie on Create and Craft for more ideas and demonstrations. 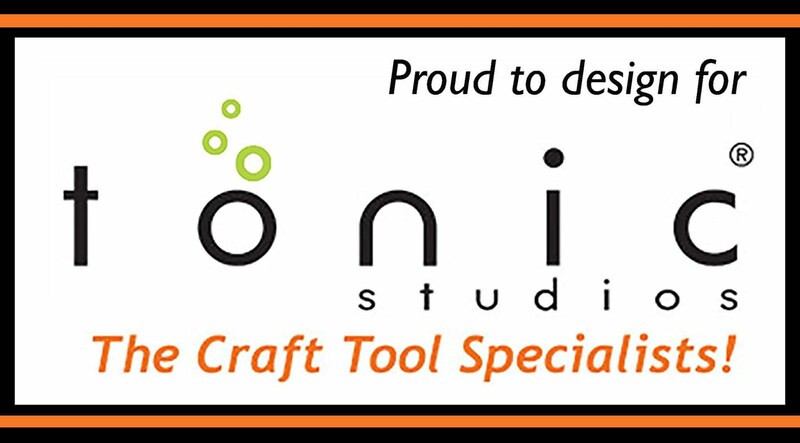 My name is Karen and I am on the Design Team at Tonic Studios. I am an avid Card Maker, I love to colour even though I'm not that good at it. I am married and a stay at home mam of two girls. Thank you for taking the time to visit my blog, I hope you have taken some inspiration from my designs but please don't copy any of them or submit them to any publications.